Two facades+PERFORMANCE tech workshops offer hands-on instruction in Dynamo for Autodesk Vasari. BIM continues to transform the process of design and building. Dynamo for Autodesk Vasari is a leading open source visual programming environment that extends the parametric capabilities of Revit and Vasari. April’s facades+PERFORMANCE conference in New York includes two conference tech workshops focusing on Dynamo. Gil Akos of Mode Lab will lead Enhanced Parametric Design with Dynamo (4 AIA CES LU credits). Participants will learn the fundamentals of parametric design within Dynamo, with attention to how the application can be used during every stage of the design process. The workshop will also feature a preview of work-in-progress versions of the open-source software.Workshop attendees will receive a one-month complimentary subscription to Mode Lab, a source for in-person and online education in digital design tools. 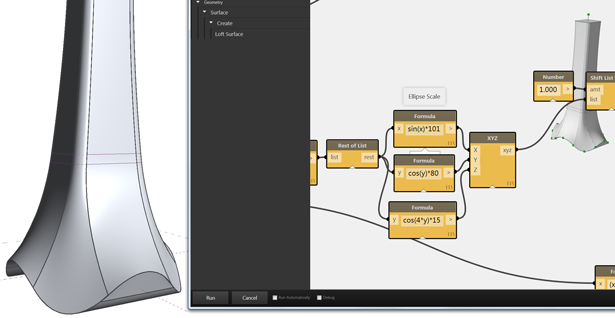 Mode Lab and Autodesk are also hosting a live Q&A on Dynamo on March 21, 2014. Learn more here. For conference-goers interested in how Dynamo can be used to design for better environmental performance, there’s Solar Radiation and Daylighting Analysis with Dynamo (8 AIA CES LU credits). Mett Jezyk and Ian Keough, both of Autodesk, will lead the workshop. In the morning session, participants will learn how to use Dynamo to evaluate solar radiation on a building exterior and set up a recursive optimization strategy. After lunch, the workshop will focus on using Dynamo as a cloud service to access daylighting analysis capabilities. Participants can choose between a focus on parametric design or environmental performance analysis. Both workshops take place on April 25. Register for a facades+PERFORMANCE tech workshop today on the event registration page.